In the Bharatiya Janata Party (BJP), the vice-president’s post looks like another version of the highfalutin “marg darshak mandal” that was created in 2014 to seat the 75-plus leaders who could not find a place in the Narendra Modi government or the party organisation. A vice-president’s post is enshrined in the BJP’s constitution, but with time, it became an ornamental office for the “less important”. In other words, an individual appointed as a vice-president—and the position has once redoubtable chief ministers and central ministers as occupants—is likely to be taken less seriously than a general secretary or a spokesperson. Interestingly, the BJP spokespersons have gone on to rise by virtue of tirelessly defending the indefensible. So, within days of the BJP losing the assembly elections in Madhya Pradesh, Chhattisgarh and Rajasthan, the former chief ministers, Shivraj Singh Chouhan, Raman Singh and Vasundhara Raje were kicked up as vice-presidents. This despite Chouhan losing MP by a wafer and Vasundhara putting in a reasonably creditable showing amidst strong negative sentiments against her government. The Opposition leaders in the states were chosen by Amit Shah, the BJP president. In Rajasthan, Gulab Chand Kataria, the incumbent, is a Vasundhara rival. There was not a whimper of protest, not even from Vasundhara who, in the past, mobilised her supporters when she sniffed a hint of challenge to her power. “Under her stewardship we lost two elections,” a BJP source said, forgetting that the Congress’s Ashok Gehlot, despite taking his party down the tubes the same number of times, bounced back to claim the top job a third time. The Modi-Shah dispensation brooks no shenanigans or shindy even from the “mighty”. Uma Bharti is the latest leader to join the vice-president’s rank after she refused to contest the Lok Sabha election from Jhansi. It is reliably learnt that she was refused a seat from Madhya Pradesh, her home state that she asked for. Modi and Shah pulled off the near-impossible: carry out a generation change so imperceptibly that there were no bickerings or protests, no running to the Rashtriya Swayamsevak Sangh (RSS) for succour as in the past. The line-up that was nurtured and put in place by LK Advani, a talent scout par excellence, has almost faded away. Of course, Modi is the one from the Advani steup to scale new heights in the BJP while Arun Jaitley stands behind him as a trusted friend. Nitin Gadkari came in later when the RSS wanted Advani and Atal Bihari Vajpayee to make way for a younger leadership and remains in the present system as does Rajnath Singh. Sushma Swaraj will likely not contest the election, thereby raising a question over her continuance in the next government should the BJP get another term, unless she comes in through the Rajya Sabha. Among her contemporaries, M Venkaiah Naidu is the vice-president while Ananth Kumar passed away. 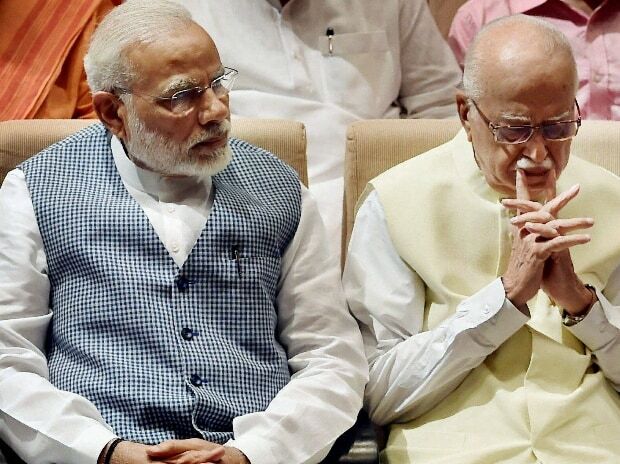 Most of Advani’s mentees, who include Chouhan, Raman Singh and Vasundhara, are virtually out. Those mentored by Modi and Shah will become the BJP’s public faces in the election as the star campaigners. Consider the assemblage of chief ministers: at 63, Raghubar Das of Jharkhand is the senior most and at 45, Pramod Sawant, his Goa counterpart, is the youngest. Between Das and Sawant, there exist Jai Ram Thakur (Himachal Pradesh), Yogi Adityanath (Uttar Pradesh), Vijay Rupani (Gujarat),Trivendra Singh Rawat (Uttarakhand), Sarbananda Sonowal (Assam), Biplab Kumar Deb (Tripura), Devendra Fadnavis (Maharashtra) and Manohar Lal Khattar (Haryana), showing that the BJP might well be spoilt for choice. Among this galaxy, BJP sources said Yogi was still in top demand, despite the mixed feedback the party received about his high-decibel campaign in the recent election-bound states. The other CMs will be farmed out region-specific assignments. For instance, Thakur, 54, will travel in Uttarakhand and Punjab, Fadnavis, 48, in those parts of Karnataka that bordering Maharashtra as well as Telangana, and Deb, 47, in West Bengal and the Bengali-speaking areas of the north-east outside Tripura. “When Modiji speaks of optimising India’s demographic dividend, the BJP has got to lead by example,” a source said. The transition is reflected in the team that oversees campaigning and media at the BJP’s Delhi headquarter. At the core are Jaitley, Nirmala Sitharaman and Piyush Goyal. Shah works through his own apparatuses that are primarily run by his trusted general secretaries Bhupendra Yadav and Anil Jain, complemented by JP Nadda, central minister, and backed by others such as Ram Madhav, Vinay Sahasrabuddhe, P Murlidhar Rao, Vijay Chauthaiwale and the IT cell. If there’s a “war room” of soldiers, manning other systems like Prashant Kishor (now with the Janata Dal-United) and his boys and girls did at Gandhinagar in 2014, sources said such an army would be liaising directly with the Prime Minister’s Office. Sources stressed the Modi-Shah duo’s working tenet was each person worked in a crypt, with privy to as much ideas and information as he required to know. The “need to know” doctrine that minimised the chance of misinformation and news leaks.